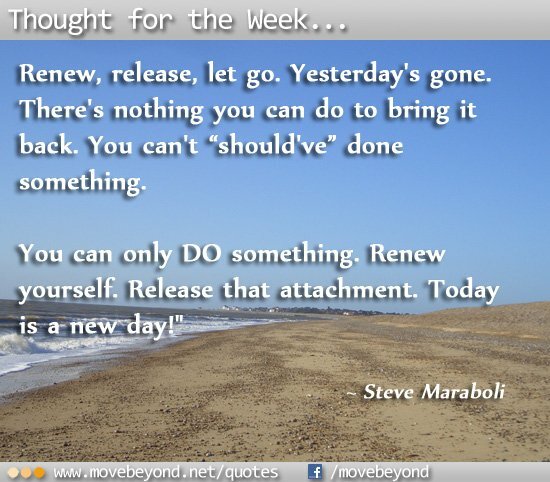 “Renew, release, let go. Yesterday’s gone. There’s nothing you can do to bring it back. You can’t “should’ve” done something.